What is the M4 Trading Platform? M4 is a white-label trading platform that is available with complete source code, which can be licensed by paying a one-time fee. The trading paltform may be customized and re-branded then distributed to your trading clients or used for in-house trading purposes. M4 is an extremely flexible trading application that can be customized to any extent with no imposed limitations regarding customizations. Are you frustrated with the lack of flexibility with your existing trading software? 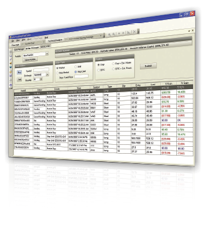 Are you currently paying exorbitant license fees for trading software that you do not own? Are you fretful that you cannot solve time sensitive, mission critical software problems because you do not have access to the source code? M4 is the perfect solution if you are unhappy with the limitations and high costs associated with your current trading platform or charting software. M4 is Flexible, Customizable and Affordable! 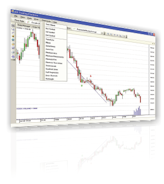 We offer several versions of M4 for retail trading, professional trading, automated trading, black box trading and more. No matter if you are a brokerage, professional trader, hedge fund or prop trader, we have a product that is right for you. Everything about M4 is completely customizable. All windows, menus, toolbars, charts, and features can be modified, enhanced or removed with ease. You may hire software developers to make modifications for you or we may provide our customization services at a very competitive rate. M4 can be configured based on your unique needs and budget. We offer an affordable perpetual license with source code priced at just a fraction of the $100,000 fee that other platform companies charge without source code! Professional charting and technical analysis. Real time stock, futures and forex quote screens. Easy-to-use scripting language for real time alerts, market scanning, back testing and automated trading. Right click and trade from any chart. Orders can be transmitted to any destination. Any data provider can be implemented. All windows, toolbars, menus, charts and other features are completely customizable.